The idea isn't novel and ROMs like LineageOS have implemented it many months ago, but now it seems like it might become part of Android: two commits have been submitted by Spanish phone manufacturer BQ and by Sony to the AOSP code to help with this. 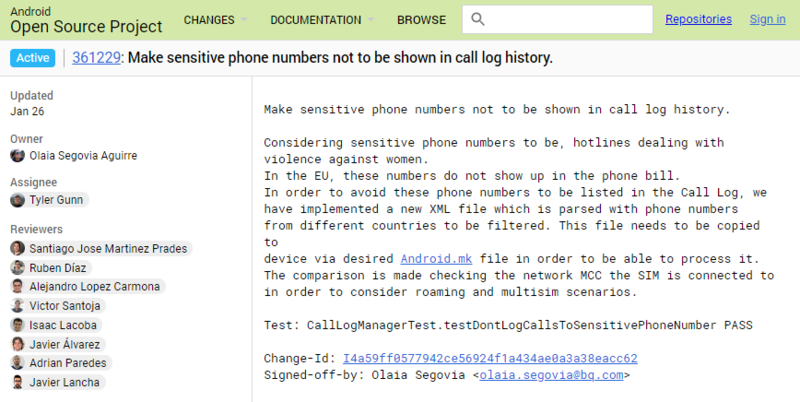 Although they take a different approach (one large xml file with all the numbers for BQ vs. an overlay with specific numbers depending on the country code for Sony), the end result is that they should help in hiding sensitive numbers from the call log. It's not clear which commit will be implemented and when, but either of these could help and we hope they make it into an Android version soon enough. The delay might be a matter of life or death.